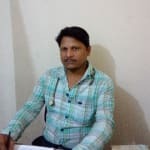 Dr. Navin Kumar is a renowned Homeopath in Boring Road, Patna. You can visit him at Restoration of health in Boring Road, Patna. You can book an instant appointment online with Dr. Navin Kumar on Lybrate.com. Lybrate.com has a number of highly qualified Homeopaths in India. You will find Homeopaths with more than 31 years of experience on Lybrate.com. Find the best Homeopaths online in Patna. View the profile of medical specialists and their reviews from other patients to make an informed decision. My friend 19 years old having problem rltd to mensuration problem are heavy bleeding sever fever head ache vomiting stomach ache and can't be able to do routine work also and felt like ill for 15 days and aproxx 35to40 pads daily for first 4 days &25 to 35 pads daily in last 3 days every time she has to consult with clinical doctor (not specialist) who gave injection for pain then she got some relaxed otherwise it continued for 7 days pls suggest in this regard. China-Q 10 drops 2 times with a cup of water Hamamelis-Q 10 drops 2 times with a cup of water pulsatilla-1m 1 dose. I am a vegetarian and have undergone surgery in abdomen area once in 1999 for typhoid peritonitis or rupture in large intestine, and another in the year 2009 for hernia caused by the previous surgery of 1999 when the openings were not closed then by stitching properly, but by bandage coverage as the skin was so brittle and soft that did not hold the stitches. By second surgery, the displaced intestinal tracks were re arranged and a mesh is placed on the naval area. With all these, my belly fat cannot be brought down as it is causing over weight only in the abdominal area. I am having diabetic and hypertension for which my family doctor is advising me to reduce weight to a tune of 10 Kg. So that I will get rid of diabetes and hypertension and even medication be stopped altogether. With great difficulty, I am able to reduce only 3 Kg. For the last 4 years. Please advice me how to reduce my weight from 80 Kg. To 73 Kg. That is another 7 Kg overall. 1. Calotropis-Q (1x20 ml) 10 drops 2 times with a cup if water 2. Fucus v-Q (1x20m) 10 drops 2 times with a cup of water 3. Cal carb-200 1 dose only.